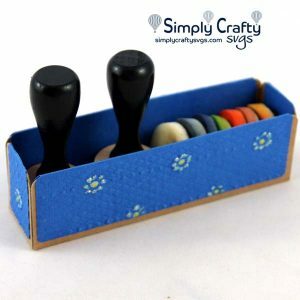 Storage to hold small square ink pads. 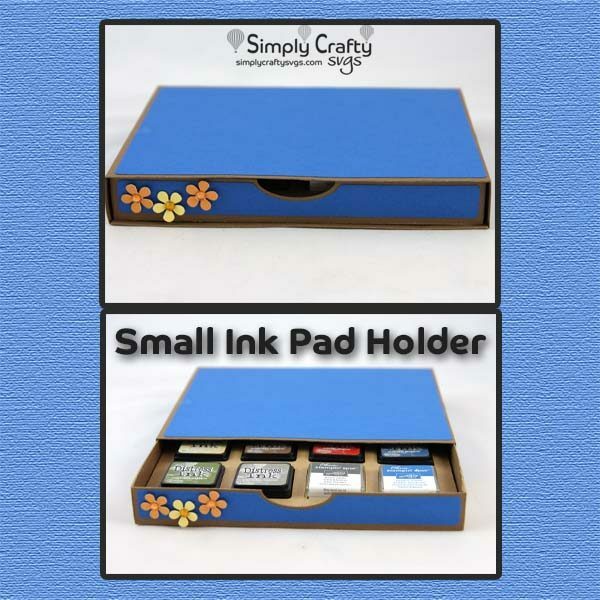 Get this Small Ink Pad Holder SVG File to make your own ink pad storage for your small square ink pads. 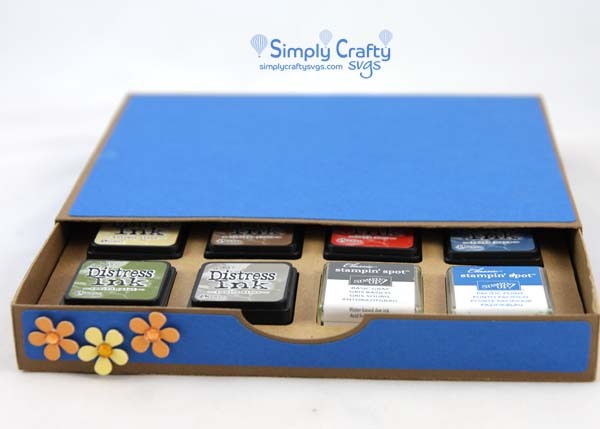 Insert is included to hold 12 ink pads, although you can optionally use it without the insert. 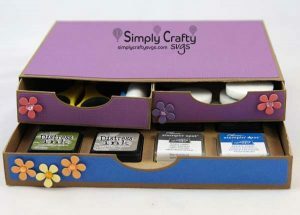 Store your small square inks in this or use it just as a storage drawer, without the insert. Create multiples and stack. Use with the 2 Drawer Organizer. Finished size is 7.3″ x 5.65″ x 1″ high. 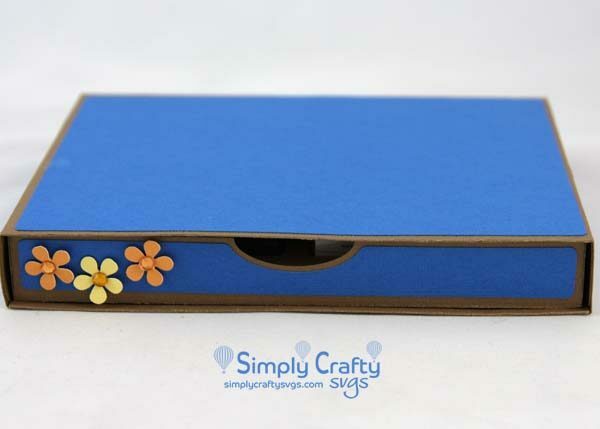 Includes insert for 12 small square ink pads, up to @ 1.3″ x 1.3″. It is recommended to use a heavy cardstock or kraft board for the assembly of this design, such as 80 lb weight or above. Holder base requires (3) 12″ x 12″ cardstock sheets to cut out. Letter-size or larger can be used for the ink pad insert Smaller paper can be used for panels. 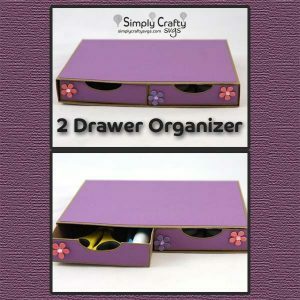 Shown with 2 Drawer Organizer SVG File (purple).